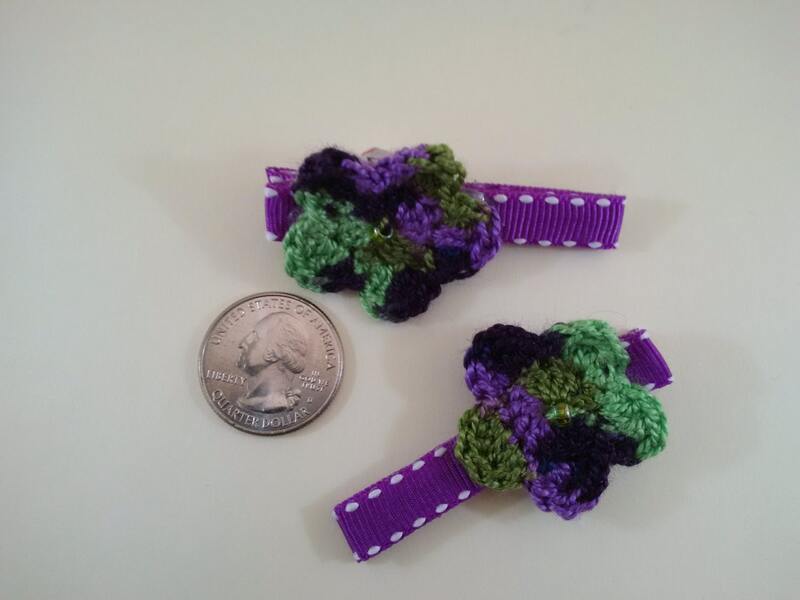 This hair clip is composed of a hand crocheted flower, embellished with glass beads, and is securely attached to a ribbon covered hair clip. 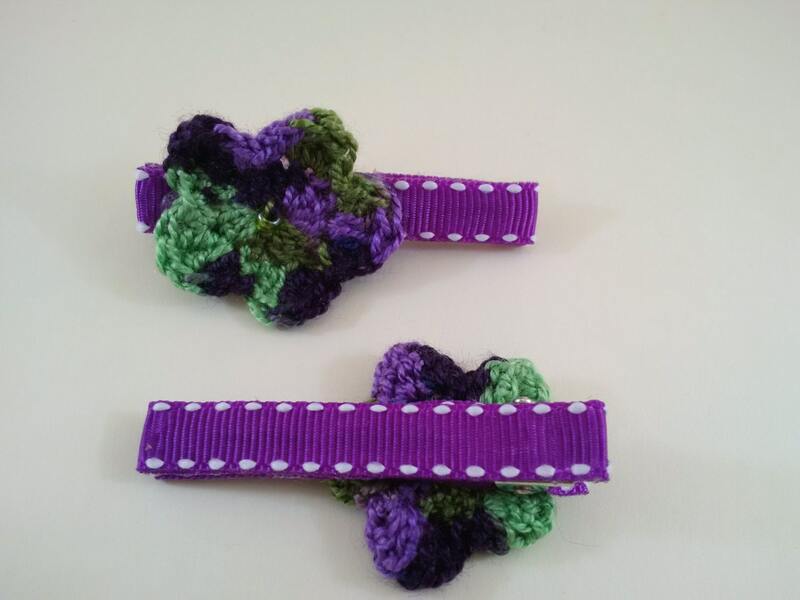 This listing is for one pair of matching hair clips, 2 clips total. 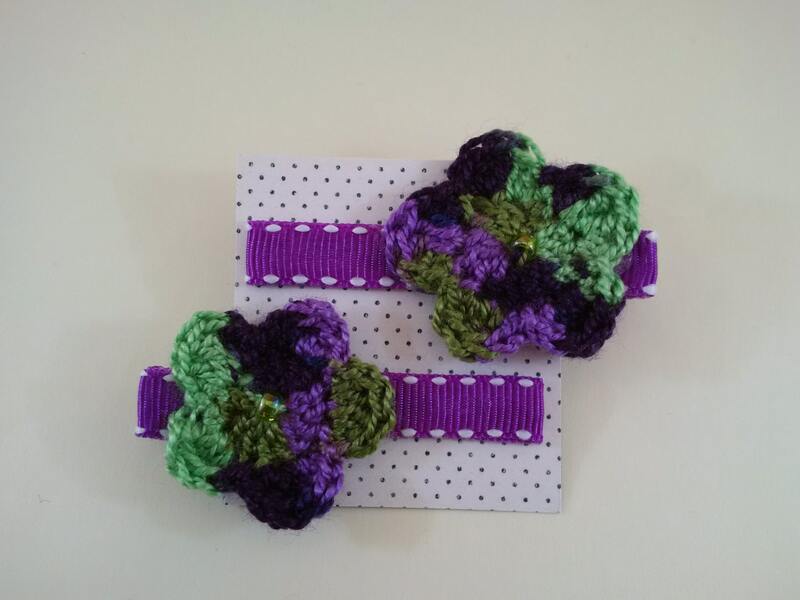 Flower is hand crocheted from original design pattern, glass beads are sewn into the center of the flower, hair clip covered with coordinating ribbon. 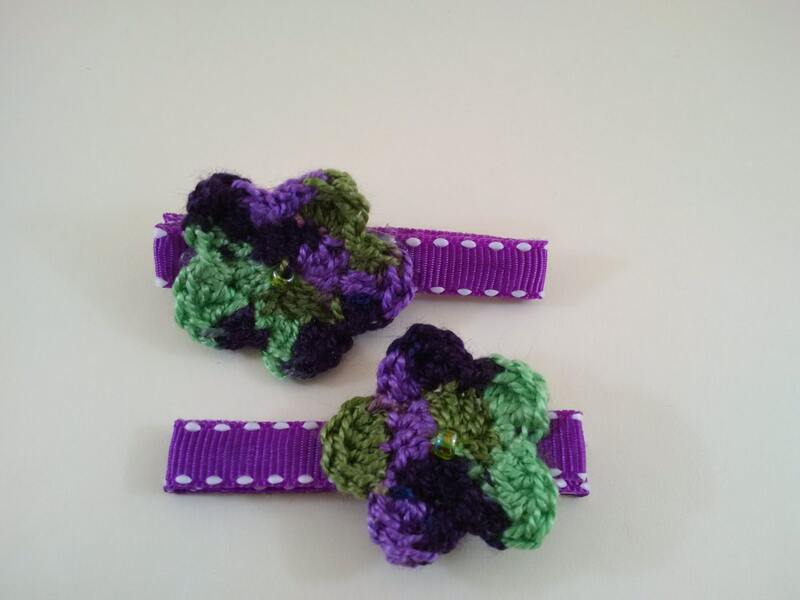 Flower and ribbon are affixed with acrylic glue. All major credit cards, debit cards, PayPal, and Etsy gift cards are accepted. All items in the shop are finished and ready to be shipped. Items will be shipped using USPS First Class calculated shipping and include tracking information. For expedited delivery you can upgrade to USPS Flat Rate Priority shipping, or USPS Flat Rate Express shipping, during checkout. International orders are accepted. Unused, unworn, original condition items will be accepted for return within 14 days of receipt of the item by the buyer. All shipping costs to return an item will be covered by the buyer. Gift wrap and handwritten messages may be added to any order during checkout.